The focus of the day will be how to convey deep understanding of these concepts, through practical demonstrations and the consideration of probing questions. 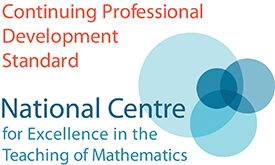 The content is aimed at teachers who are familiar with the Mechanics content of the Single Maths A Level. 1. Is it possible to park at the venue? The school does not have any parking spaces - but there is normally easy parking nearby. Please email the event organiser for details. 2. Where is the entrance to the school? You approach the school on foot from the High Road, directly to the left of the new football stadium. Lilywhite House (where the school is) is clearly marked on the building. Google maps gives the impression that the school can be accessed from Northumberland Park which is not correct. The first session begins at 10am. There will be refreshments provided from 9.30am, so aim to arrive then!